Ancala is a custom home community nestled high in the McDowell Mountains in Scottsdale, Arizona. 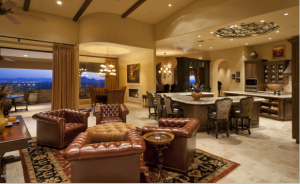 Homes are beautifully designed to complement the views of Scottsdale, Paradise Valley, the stunning scenery of the Camelback and McDowell Mountains. This guard gated community is conveniently accessible to nearby schools, restaurants, medical services, shopping and entertainment. The community offers a wide range of home styles including a spacious ranch, luxurious golf property and a private pool homes. 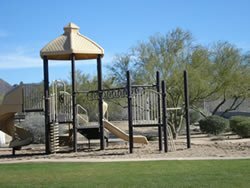 Ancala Park features grassy play area, basketball hoops, shaded picnic tables, bathroom, barbecue grills and a water fountain feature. The Ancala Park is encapsulated in the lush green private championship golf course at the Ancala Golf and Country Club. It has fitness activities such as Mat Pilates, Water Fitness & Aqua Zumba, Yoga and more. Members enjoy a stunning golf course and first-class golf services, tennis courts, social privileges as well as community security with their Smart Pass device making sure that only registered vehicles have access to the community. Indulge yourself with the first-class amenities right in the comfort and security of your own community. Privacy, fun, and views awaits you at Ancala. For inquiries on Ancala real estate in Scottsdale, Arizona, just Email or call us at 480-595-6412.